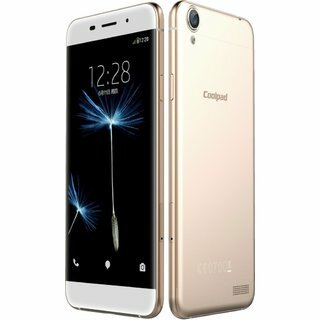 Coolpad Milano Gold - a stylish budget smartphone, equipped with a 5-inch IPS-screen with HD-resolution and support for 3G / 4G networks. The device stands out with an elegant case of pink gold color and will appeal to all adherents of elegant minimalism. 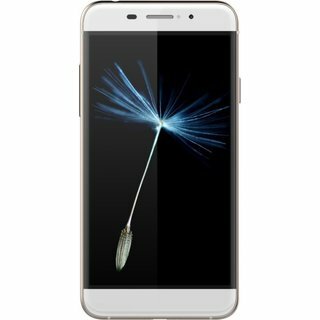 Reasons to buy Coolpad Milano Gold: stylish execution; Android 5.1 Lollipop; Support for 3G / 4G networks. The device is running a new version of the Android 5.1 Lollipop OS, which features a smooth interface and a particularly careful attitude to the battery consumption - a battery for 1950 mAh is enough for two days of autonomy. The hardware based on this smartphone uses a 64-bit Qualcomm Snapdragon 410 platform, consisting of 4 cores Cortex-A53 1.2 GHz, video core Adreno 306 and wireless communication modules Wi-Fi, Bluetooth, 3G / 4G and GPS navigation module. The operating memory in this device is 1 GB, built-in - 16 GB, plus there is the possibility to increase the volume by another 32 GB due to microSD cards. 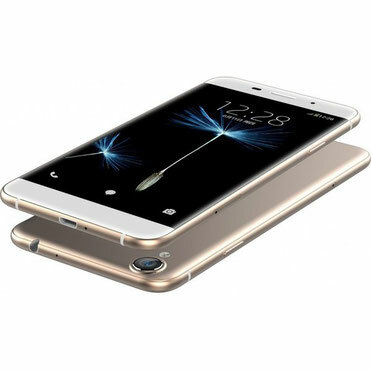 Mobile phone Coolpad Milano Gold, having on board two cameras with a resolution of 8 megapixel and 2 megapixel, perfectly copes with photography, video recording and video calls. Precise autofocus will help you take the clearest possible shots, and the rear LED flash will come in handy during shooting in the evening or in a room with insufficient lighting.